So you may recall the advent calendar I made years ago to hold a mini chocolate bar. I never really liked giving my kids candy first thing in the morning, and since we moved here 3 years ago we haven't used it. Bah humbug. 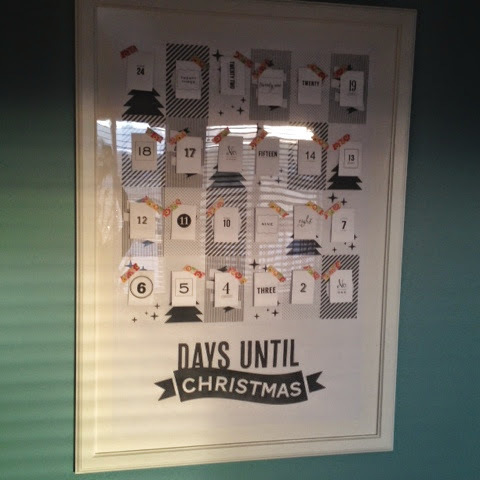 So this year I decided it was time to bring an advent back. I searched Pinterest for a modern idea and came across Confetti Sunshine. 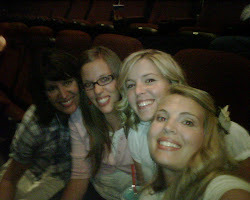 Oh my gosh- her blog rocks! I kinda got caught up on it for a couple of hours one night, yeah...so anyway. 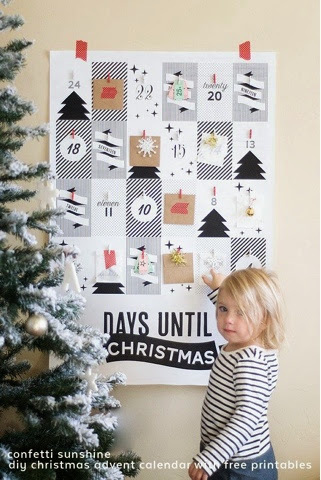 I love the advent she did, and she offers it as a free printable! I downloaded the poster and had it printed at Staples as a 24x engineering print for $4 and threw it in my frame from ikea I already had hanging. Instead of mini clothes pins like she used I decided to go with envelopes. I printed the envelope template from miniecoco.uk. Cut out and glued 24 - I will admit it was a little tideous. 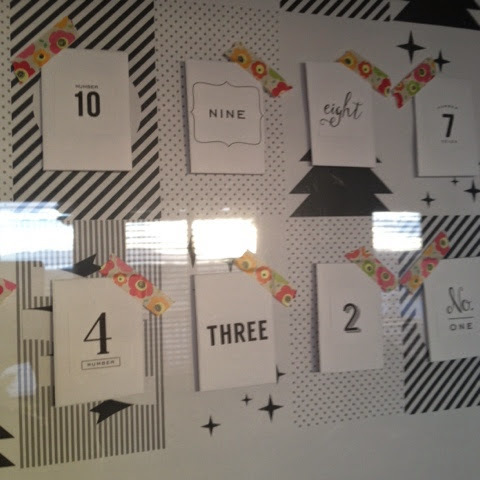 I added the numbers; a free printable from simpleasthatblog.com, then stuffed them with an activity for the day. There are a million options on Pinterest for these, but I made my own that are customized to our holiday calendar. I used a cheap tape (so it comes off easily and leaves no residue) to tack the envelopes up. There you go. 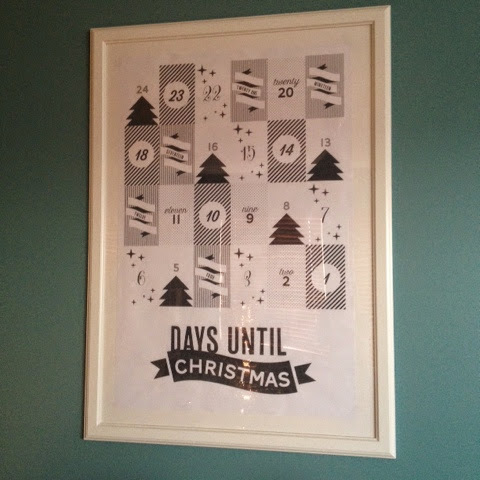 Super simple advent calendar that my kids love.